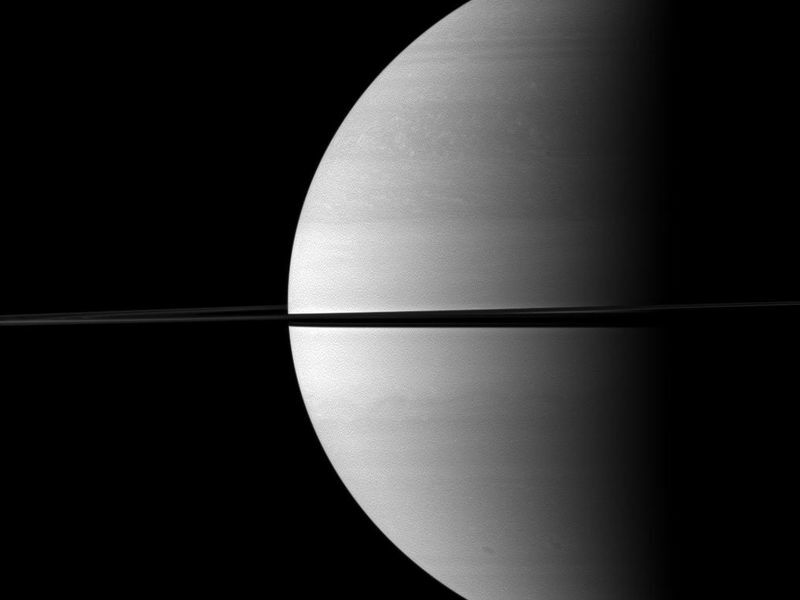 Roughly a quarter of majestic Saturn is illuminated in this view captured while the Cassini spacecraft was orbiting near the planet's equatorial plane. 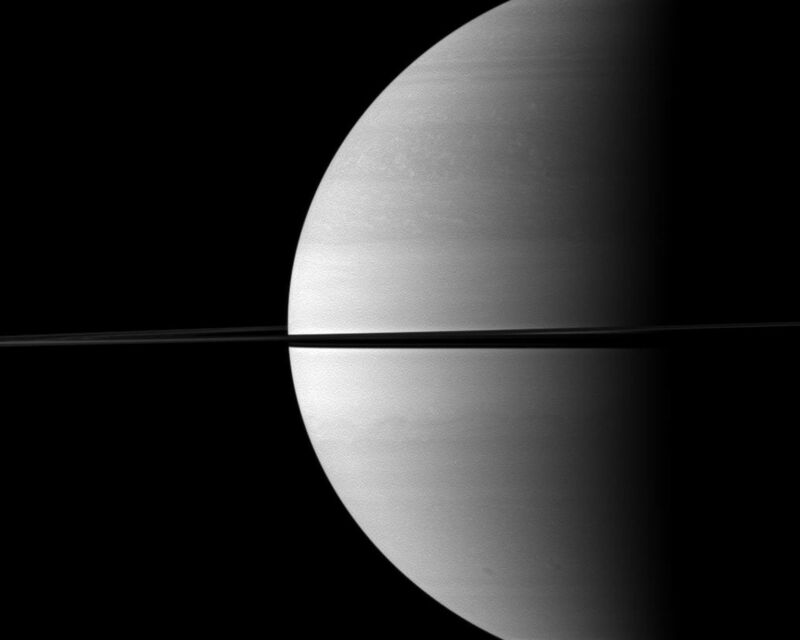 The image was taken in visible red light with the Cassini spacecraft wide-angle camera on Nov. 25, 2009. 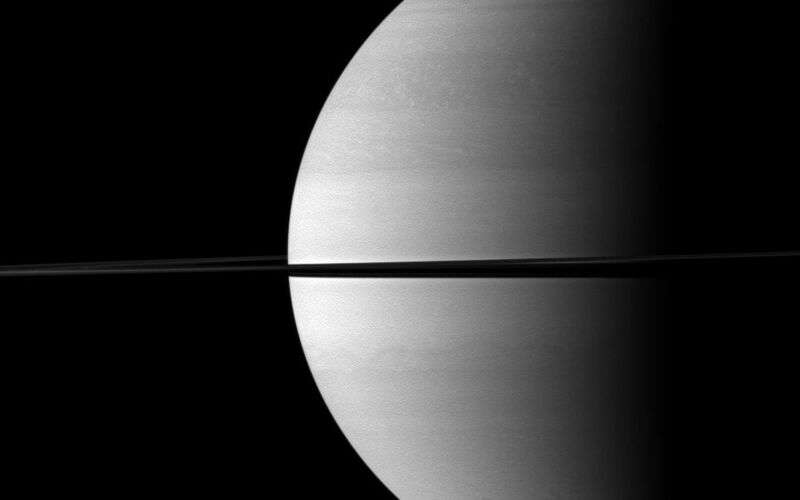 The view was obtained at a distance of approximately 2 million kilometers (1.2 million miles) from Saturn and at a sun-Saturn-spacecraft, or phase, angle of 92 degrees. 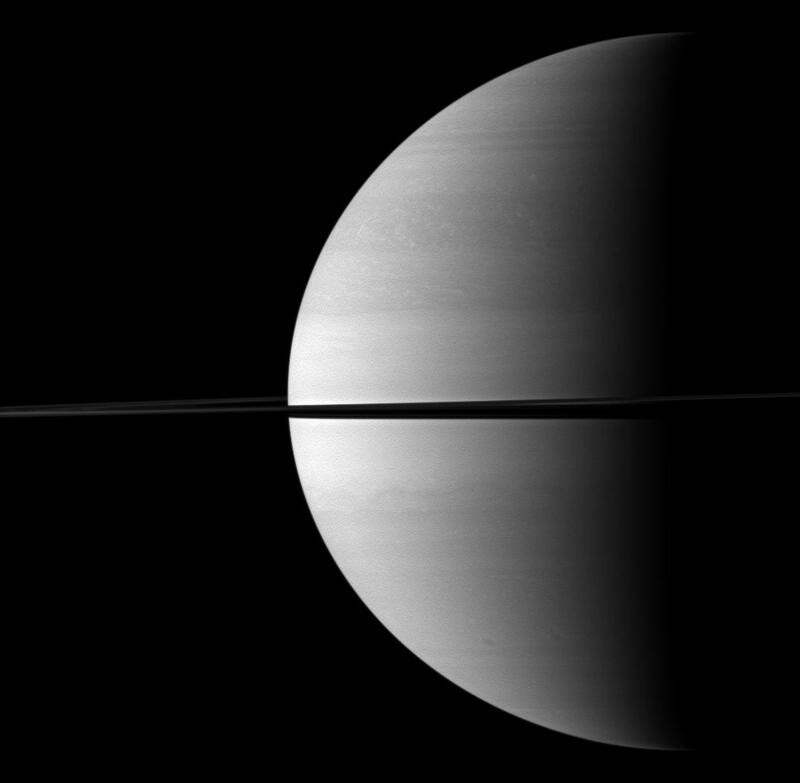 Image scale is 116 kilometers (72 miles) per pixel.